The Central Bank of Bahrain (CBB) is a public corporate entity established by the 2006 CBB and Financial Institutions Law. It was created on 6th September 2006. The CBB is responsible for maintaining monetary and financial stability in the Kingdom of Bahrain. It succeeded the Bahrain Monetary Agency, which had previously carried out central banking and regulatory functions since its establishment in 1973. The CBB inherits the BMA’s 33-year track record and wide range of responsibilities. It implements the Kingdom’s monetary and foreign exchange rate policies, manages the government’s reserves and debt issuance, issues the national currency and oversees the country’s payments and settlement systems. It is also the sole regulator of Bahrain’s financial sector, covering the full range of banking, insurance, investment business and capital markets activities. The CBB’s wide scope of responsibilities allows a consistent policy approach to be undertaken across the whole of the Kingdom’s financial sector. It also provides a straightforward and efficient regulatory framework for financial services firms operating in Bahrain. 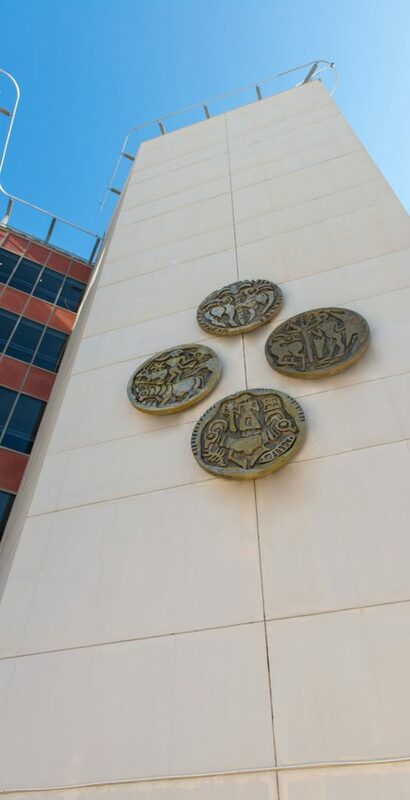 The Central Bank of Bahrain’s mandate is prescribed in the Central Bank of Bahrain and Financial Institutions Law 2006. Protect the interests of depositors and customers of financial institutions, and enhance the Kingdom’s credibility as an international financial centre. Article 4 of the same law specifies various specific duties and powers of the Central Bank. They include the issuance of the national currency; the licensing, regulation and supervision of persons undertaking regulated financial services; the provision of banking services to the Government; and managing the Kingdom’s gold and foreign currency reserves. Collectively, these provisions are supplemented by a vision and mission statement. To strengthen the position of Bahrain as a major international financial centre, through the application of sound monetary and financial policies consistent with international best practices. To ensure monetary and financial stability in the Kingdom of Bahrain. Providing central banking services to the government and financial sector which are cost-effective, reliable and that support national objectives and Bahrain’s position as a major financial centre. Ensuring that the regulation and supervision of the financial sector of Bahrain meets the highest international standards, whilst minimizing the direct and indirect costs of regulation on financial firms and their customers. Facilitating market innovation, including the development of Islamic banking and finance, and encouraging the use of training and technology to enhance the competitiveness of Bahrain’s financial sector. Encouraging an open and competitive financial sector, that welcomes new entrants, including from overseas, provided they pose no undue regulatory risks. Working with international organisations such as the International Monetary Fund (IMF), the Bank for International Settlements (BIS), the International Organization of Securities Commissions (IOSCO), International Association of Insurance Supervisors (IAIS), and the Financial Action Task Force (FATF), in order to foster the stability of the global financial system. Promoting a culture of excellence within the CBB work environment which emphasizes the highest standards of professionalism, integrity, prudence, teamwork and innovation. Governance of the CBB is largely prescribed in the Central Bank of Bahrain and Financial Institutions Law 2006 (‘CBB Law’). Article 5 of the CBB Law specifies that the CBB shall have a Board, comprising seven Directors, appointed by Royal Decree for a renewable term of four years. Articles 6 through 9 specify the conditions that Directors must satisfy in order to hold office; requirements regarding the proceedings of the Board; the powers of the Board; and the conditions under which Board membership may be terminated. The day-to-day management of the CBB is entrusted to a Governor, with ministerial rank, and who is directly accountable to the Board. The Governor is appointed by Royal Decree for a renewable 5 year term. The Governor may be supported by one or more Deputy Governors (Article 10). The Governor is obliged to present a report to the Board within 3 months following the end of each financial year, on the CBB’s operations, together with a copy of the audited accounts of the CBB and the external auditor’s opinion on those accounts (Article 36). In addition, the CBB’s financial operations are subject to review by the National Audit Court (Article 2). In addition, Article 173 of the CBB Law requires the CBB to present regular reports on the operations of the CBB to the Minister of Finance, who is responsible to the parliament for his oversight responsibilities with respect to the activities of the CBB. In addition to the above mechanisms, the CBB also ensures effective internal governance of the organisation and its operations through a system of internal committees, supported by documented policies and procedures (which include a staff code of conduct). Finally, an internal audit and quality assurance function, reporting directly to the Governor with a right of access to the Board, provides assurance on internal systems and controls. The CBB also regulates Bahrain’s licensed exchanges and clearing houses and acts as the Listing Authority for companies and financial instruments listed on the exchanges. It is also responsible for regulating conduct in Bahrain’s capital markets. The CBB supervises its licensees in accordance with relevant international standards. For banks, insurance service providers, and investment business service providers, this means that CBB requirements address the Core Principles and other standards of the Basel Committee, the International Association of Insurance Supervisors and the International Organisation of Securities Commissions. Bahrain was last assessed against these standards by the IMF in 2005-06, as part of a Financial Sector Assessment Programme review: a copy of their overall assessment is provided under ‘Related Information’. CBB requirements are risk focused and principles-based, as well as tailored to different categories of licensee and the variable nature of supervisory risks that they pose. CBB requirements cover both prudential standards as well as conduct of business. In terms of capital requirements, all banks are currently required to apply a 12% minimum Capital Adequacy Ratio calculated in accordance with the Basel II requirements. These regulations are currently being revised in order to meet the Basel III requirements which are palnned to be implemented in phases from 2013 onwards. Insurance companies are subject to solvency margin requirements (similar to existing EU requirements), and investment firms are subject to risk-based capital requirements that include position, counterparty and foreign exchange risk, as well as an expenditure requirement. For those Volumes still under development, licensees are subject to individual stand-alone regulations. Full details of these, together with the CBB Rulebook, are available in the Laws & Regulations section of this website. The CBB’s supervision of licensees is a mixture of onsite assessment (including the quality of systems and controls, and of books and records) and offsite supervision (which focuses on the analysis of regulatory returns, as well as of audited financial statements and other relevant public information). Onsite examinations are undertaken by the CBB’s own examiners, as well as by experts appointed for the purpose by the CBB (such as accountants and actuaries). Offsite supervision also includes regular prudential meetings with licensees to review performance, strategy and compliance matters (such as capital adequacy, large exposures and liquidity). For banks, a risk profiling system has been developed to underpin the above supervisory efforts, by providing a detailed framework for assessing the impact and risk profile of individual licensees, and prioritising subsequent supervisory efforts. Work is underway to extend this profiling system to insurance companies. Where a licensee fails to satisfy the CBB’s regulatory requirements, then the measures outlined in the Enforcement Modules of the applicable Volumes of the Rulebook may be applied. Enforcement measures include formal warnings, directions (e.g. to cease or desist from an activity), formal requests for information, adverse fit & proper findings, financial penalties or investigations. Extreme violations of the CBB’s regulatory requirements may entail cancellation of a licence, administration or criminal sanctions.